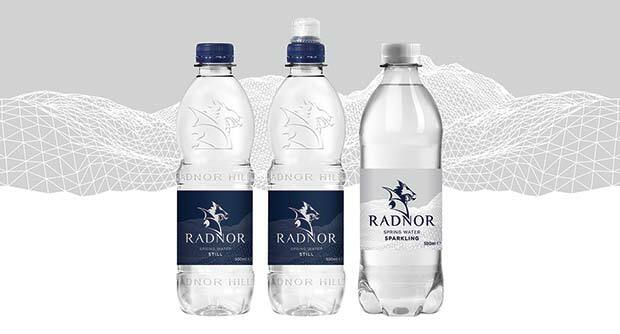 Radnor Hills Mineral Water Company have seen UK sales grow nearly £5m in the year to 31 May 2016, boosted by strong sales to the foodservice sector. Founded in 1990 and still independently owned, Radnor Hills is effectively a one-stop shop for soft drinks, which it offers under the Radnor Hills, Aqua Splash, Fruella and Heartsease Farm brands. The company also markets the Radnor Fruits & Fizz ranges, targeting school catering. Radnor Hills’ overall proposition is ‘making simple things taste great,’ achieved through a commitment to only using natural ingredients and flavours. 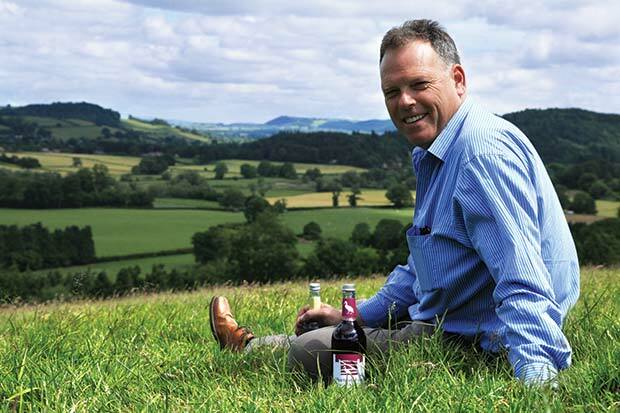 The company is currently investing in development work in its plant at Heartsease Farm in Knighton, Powys, which will further strengthen its position as one of the UK’s leading soft drink suppliers. William Watkins, Managing Director of Radnor Hills Mineral Water Company, spoke to The Grocery Trader. The Grocery Trader – William, first of all, what does your day to day role as MD involve? How much do you come into contact with customers? As Radnor Hills has grown, we have become a much more complex company, with elements of operations, finance, sales, marketing and environmental that are all important to making Radnor Hills successful. Because of this my direct contact with customers is way less than it used to be! GT – Some of the UK’s major soft drinks companies appear to be having a difficult time at the moment. Why do you think Radnor Hills is doing so well? First of all it starts with the products! We focus on making sure we are supplying products that really work well and are going to sell well. We want products that are well designed and taste better than our competitors. Secondly it’s down to delivering the best possible service, making sure we deliver products when people need them, in the right quantities, so we are seen as a reliable partner. We can only do this if we always have stock available and get our deliveries right, and in the vast majority of cases we feel we deliver this service well. GT – Can you talk us through your product and brand portfolio and how the Radnor Hills brands fit together? Which are your best selling products? Well of course our first product is Radnor Hills Water, our original product, where it all started for us! We have a whole range of PET and premium glass products within this category and can provide water for a variety of outlets, from hotels and restaurants to garage forecourts and anything in between. Secondly we have our near water product Aqua Splash, a flavoured water which is well established in the UK and has seen terrific growth. This is a sugar-free option that fits within the current demand for low and zero calorie soft drinks. Thirdly we have our School Compliant Ranges Radnor Fizz and Radnor Fruits which, we are delighted to say, are now the top selling UK School Compliant drink on the market, available in PET and Tetra formats. Fourthly we have a range of juices called Fruella, available in both PET and Tetra, offering everything from a 125ml and 200ml portion size up to a 400ml PET bottle. 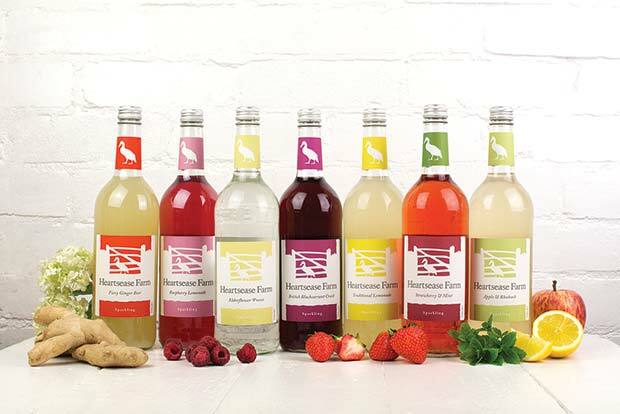 And finally the Heartsease Farm Premium Pressé range is our most premium range, an indulgent product for consumers who want a great tasting lightly sparkling drink they can substitute for wine. All our brands are seeing fantastic growth, which I think is to do with us offering the complete package and providing a onestop shop for all soft drinks needs. GT – Which are your latest product launches? What marketing support are you carrying out? What do you do on social media? We are active on social media and committed to supporting our brands in different ways. With our Heartsease Farm range you will see us doing lots of consumer shows nationwide, making sure our brand is well known and well liked so when it goes on shelf our products are recognised easily and purchased. We run on-pack promotions on our School Compliant range to widen the gap with our competitors. With our Radnor Hills water brand we aim to support certain high profile events each year. This year we are sponsoring the European Golf Senior Open Tour, which is being held in Wales this time, so it’s a nice fit! You will always find us actively pushing our ranges and new product launches in the consumer and trade press. GT – You’re actively involved in the school drinks market with Radnor Fruits and Fizz. What different schoolsoriented products do you have? How are schools soft drinks doing as a whole? Since the advent of the requirement for school compliant drinks we have been at the forefront of this market, looking to develop drinks suitable for this age profile and fitting in with the government regulations. We have also launched a smaller pack option suitable for anyone from four years upwards with our Tetra Prisma formats. This is a unique offer in the UK, not available anywhere else. School drinks have become an important part in the fight against obesity, proving you can still have very tasty healthy drinks, even though they are low in sugar. GT – You’ve been very active recently with the Fruella brand and the launch of the Fruella TREE AID Campaign. What products are in this range? 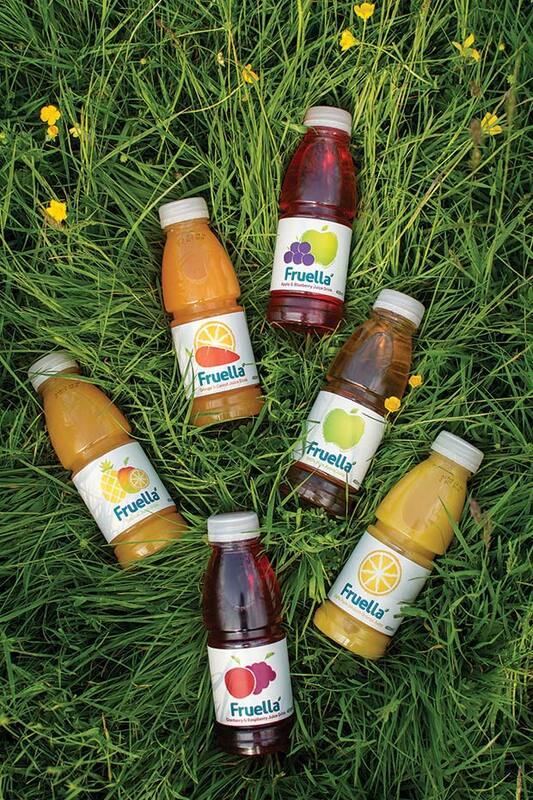 Fruella is one of the most recent brands we have brought to the market, made up of 100% Orange and Apple juice as well as some dual flavour blends, including Apple & Blueberry, Tropical, Orange & Carrot and Cranberry & Raspberry. We have also recently partnered this range with the TREE AID charity, giving the purchase an ethical dimension. We launched Fruella around 12 months ago and are seeing sales increasing month on month. GT – You recently added Fruella Hydrate to the Fruella range. Can you tell us about that? Fruella Hydrate is the simplest of products, just juice and water, nothing more complicated. It’s a really natural, no added sugar product and a great way to hydrate using premium ingredients. Natural ingredients, great hydration! GT – You took the decision to launch Fruella Hydrate in 250ml Tetra Prisma cartons. What was the rationale for that move? The Tetra Prisma Carton provides a drink offering with no added preservatives in a user friendly, easy to hold pack with a premium appeal on shelf. The 250ml carton offers the ultimate on-the-go drinking experience. 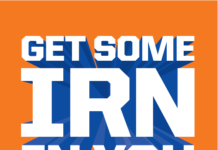 GT – You recently helped performance nutritionist Jon Williams and former Olympic sprinter Darren Campbell develop Pro Athlete Supplementation, the Pro Iso drink. How did that come about? We work very closely with both Jon Williams and Darren Campbell and have helped them develop their PRO ISO drinks range. It’s a great product range that works extraordinarily well. I would urge any athlete or sports enthusiast to try it and to see the benefit. We manufacture the product and distribute it and in some sectors, such as delivered wholesale, are also responsible for sales. GT – A lot of UK-based soft drinks companies have been lowering their sugar content significantly ahead of the Sugar levy. What steps have you taken in this area? Nearly all our products are already low calorie or zero sugar. 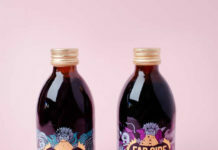 The range most likely to get affected by the sugar tax is our Heartsease Farm Premium Pressè range, which we view as an indulgent product and the taste profile we are looking to create really requires the sugar. We decided not to compromise on taste with this product range, even if it does fall in the sugar tax bracket. GT – What are your plans for your next wave of NPD? What big news can we look forward to this year from Radnor Hills? Later in 2017 we will be announcing the partners for the next on-pack promotion on our school drinks range Radnor Fizz. We have just launched our Strawberry & Mint flavour in the Heartsease Farm range, which will have an exciting push this summer. We will be launching the Tetra cartons onto airlines as well as working on our plans to put our spring water into Tetra cartons too. We are also currently rolling out a redesigned label on our Radnor Hills water, available now! GT – What promotions are you running to help retailers make the most of their sales of the Radnor Hills range? We work with individual retailers on a case by case basis and tailor specific promotional plans to specific customers. If retailers need help with one of our brands, we will do our best to support them to achieve the sales they want. GT – What should retailers do to maximise their sales of soft drinks in the summer? What help are you offering such as ranging advice and category layouts? The first thing you need to maximise your drinks sales in the summer is availability. Our first rule at Radnor Hills is to make sure that when the weather gets hot, we have stock available, so our customers can capitalise on increased summer sales. We often send sales support staff into outlets to ensure our products are visible, as well as doing tasting sessions. Please get in touch with your area managers about these opportunities, as we are very proactive in this sector. We also have a whole host of POS support for instore use. Nisa’s charity donates over £1m in 2016!